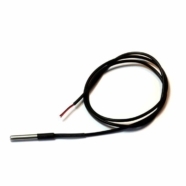 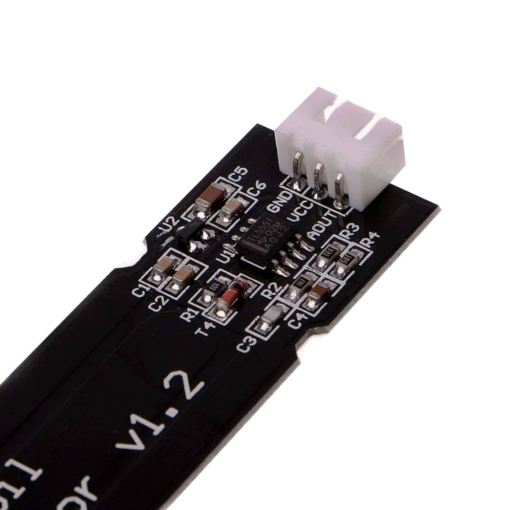 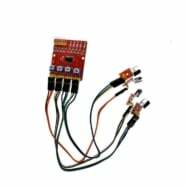 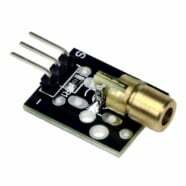 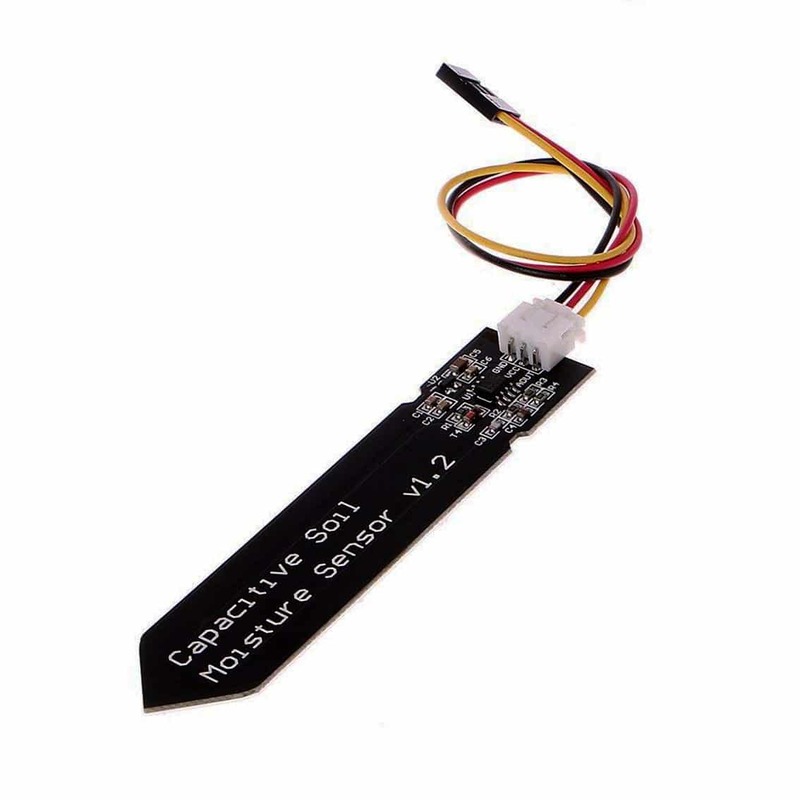 The Capacitive soil moisture detection sensor transmits data through analogue signals. 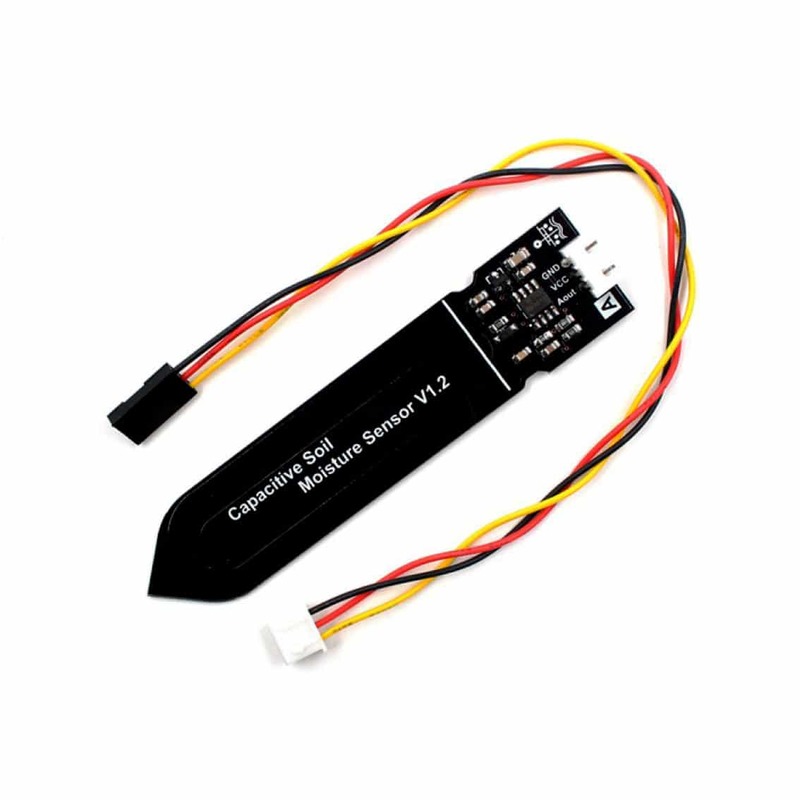 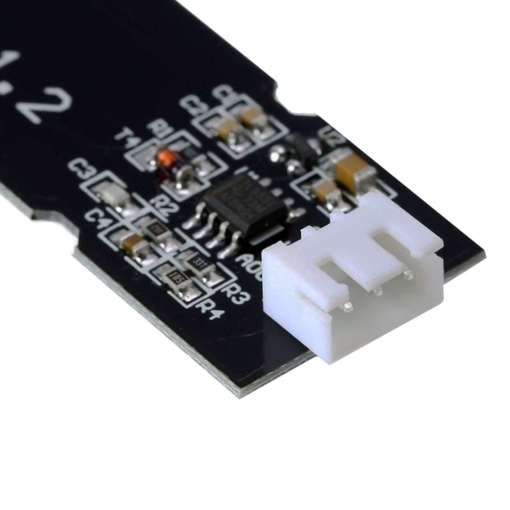 The Capacitive soil moisture detection sensor transmits data through analogue signals and is more resistant to corrosion and has a longer service life compared to other similar modules. 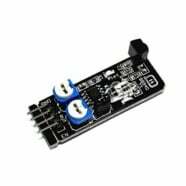 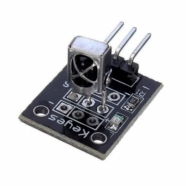 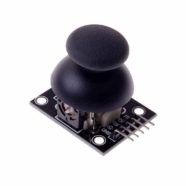 The device has a built-in voltage regulator chip, supports 3.3~5.5V DC and can be used with your Arduino and Raspberry Pi projects.